How do I become a K&M Manufacturing dealer? If you have an established business that sells or repairs tractors, mowers, construction equipment, etc. and have a sales tax and use number please apply. The fastest way is to fill out our online application. You may also request a dealer application by calling 800.328.1752. Return the application to K&M by fax to 320.329.3709 or by mail to: K&M Manufacturing, Attn: New Accounts, PO Box 409, Renville, MN 56284. Your application will be promptly processed. Once processed and we receive reference information back from your bank, you will be notified that you are now a K&M dealer. 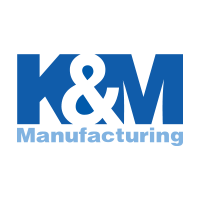 K&M Manufacturing strives to maintain a close, long-term relationship with our dealers. The Dealer Reward Program allows for end-users to purchase online at tractorseats.com and give an incentive to their selected preferred dealer thereby maintaining their relationship with their dealer. Please contact K&M Manufacturing with specific program questions. All the information found on this page refers to terms and conditions for our dealers. Retail customer, please visit the general “FAQ” page. How do I create an online account to place an order? Dealer accounts will be established through K&M Manufacturing. Once created, you will be sent an email containing your password and instructions on how to order online. Use your contact email as your login ID and the password you received from K&M to login. Once you have your login information, you may place an order at any time. K&M Manufacturing holds nexus in the states of Alabama, Colorado, Connecticut, Georgia, Iowa, Illinois, Indiana, Kentucky, Louisiana, Maryland, Michigan, Minnesota, Mississippi, North Carolina, North Dakota, Nebraska, New Jersey, Nevada, South Carolina, South Dakota, Texas, Utah, Washington, Wisconsin, West Virginia, and Wyoming. We must charge sales tax in these states. Businesses of these states must submit a copy of your State Sales/Use Tax Permit or your state’s Sales Tax Exemption form during the dealer application process. The “Certificate of Exemption” form is required to be on file prior to shipment. How do I change/add/cancel my order? To make a status change in your order, the K&M Sales Team must be contacted at 800.328.1752. Can a special order be placed? In some circumstances, yes, special orders can be arranged. However, all special orders are non-cancelable, non-returnable. Please contact the K&M Sales Team at 800.328.1752. How do you calculate the total cost of my order? The total cost of your order is equal to the price of your items, plus shipping costs, plus sales tax for orders shipped to Alabama, Colorado, Connecticut, Georgia, Iowa, Illinois, Indiana, Kentucky, Louisiana, Maryland, Michigan, Minnesota, Mississippi, North Carolina, North Dakota, Nebraska, New Jersey, Nevada, South Carolina, South Dakota, Texas, Utah, Washington, Wisconsin, West Virginia, and Wyoming. If you are a tax-exempt customer in Alabama, Colorado, Connecticut, Georgia, Iowa, Illinois, Indiana, Kentucky, Louisiana, Maryland, Michigan, Minnesota, Mississippi, North Carolina, North Dakota, Nebraska, New Jersey, Nevada, South Carolina, South Dakota, Texas, Utah, Washington, Wisconsin, West Virginia, or Wyoming, please send us a copy of your state’s exemption certificate. This is needed prior to processing your order. If I have more than one item on my order and an item(s) is on backorder, do I get charged shipping twice? Yes, each item is charged shipping when it leaves. However, you are not charged any additional shipping from what was quoted at the time of the order. The shipping costs is pro-rated. Please refer to the payment terms printed in the inside cover of the Master Catalog. We currently accept Visa, MasterCard, American Express, and Discover Card. Purchase orders are accepted on dealer orders only. UPS is our preferred provider. UPS will be used in MOST INSTANCES EXCEPT for large, heavy or bulky items (over 100 lbs. or more than 165 inches and girth and length combined). These exceptions will be shipped by commercial truck (See Truck Freight Policy). Customer will be responsible for inspecting shipment at delivery for any damage or shortages and reporting to K&M Manufacturing immediately. If a ground shipment is going to Canada, FedEx Ground will be used. Broker fees and appropriate taxes will be added to the shipment. K&M Manufacturing will prepay freight on shipments. Freight charges will be added to the customer’s invoice. We pass along great savings on freight by utilizing the carriers that we have negotiated volume discounts with. Customer will be responsible for inspecting shipment at delivery for any damage or shortages and reporting to K&M Manufacturing immediately. Customer will be responsible for Broker Fee, Duties and Taxes. K&M Manufacturing arranges for the Broker. The additional fees and taxes will be added to the invoice. If Dealer has a UPS or FedEx account, K&M can arrange shipping through your account. Please inspect your order carefully upon receipt of merchandise. If a discrepancy exists, please contact us immediately. Please double-check your order carefully, as smaller items are sometimes packed inside larger items. Yes, import duties and/or taxes may be imposed by your local government on shipments from outside your country. These charges are separate from K&M Manufacturing’s charges and are beyond our control or ability to predict. The charges (if any) are made payable to your government. You are responsible for paying any tax, duties and/or custom fees charged by your government. Please check with your local post office for more information. Yes, K&M Manufacturing will ship to most countries. Please call 1.800.328.1752 for rates or email the sales team at sales@tractorseats.com. The fastest way to track your shipment is to provide K&M Manufacturing with your email address at the time your order is placed. When your item is shipped, you will receive email notification of your tracking number. Then simply click on the tracking number provided next to the listed carrier. Otherwise, the Sales Team can assist you in tracking your package. How do I calculate my shipping charges? Dealer shipment charges will be added to your order at time of invoice. How long do backordered items take to ship? Occasionally items may be temporarily backordered due to circumstances beyond our control. The item will be shipped as soon as it is available. If have an item shipped by truck freight is the driver responsible for unloading the merchandise? No, truck freight companies do not require their drivers to unload shipments. An additional lift gate charge will apply if the driver unloads the merchandise. The carrier will call and schedule the delivery when you’ll have unloading help on hand. Residents of Alabama, Colorado, Connecticut, Georgia, Iowa, Illinois, Indiana, Kentucky, Louisiana, Maryland, Michigan, Minnesota, Mississippi, North Carolina, North Dakota, Nebraska, New Jersey, Nevada, South Carolina, South Dakota, Texas, Utah, Washington, Wisconsin, West Virginia, or Wyoming, please send us a copy of your state’s exemption certificate. Please contact the K&M Sales Team for the necessary tax exempt forms. If your tax-exempt form is not on file, you will be charged tax. Can I drop ship an order to a customer? An additional charge applies to all dealer requested drop shipments. Drop shipments are excluded from discounted freight programs. What do I do if my product arrives damaged? All merchandise leaving our warehouse is inspected and in good condition prior to shipment. If you receive a damaged package, please have the driver make note of the damage. Please contact K&M immediately to file a damage claim. If damage by carrier or concealed damage is detected, please call K&M Manufacturing at 800-328-1752 immediately to report and start a claim. K&M Manufacturing is responsible for filing damage claims with the carrier. Please retain any cartons, packages or related data until inspection has been made by the carrier. K&M Manufacturing will notify you as to the disposition of the damaged merchandise. Whenever possible, please reuse the original shipping and package materials from the product you received. The customer is responsible for carefully examining all shipments before signing a bill of lading or delivery sheet. The customer must note all damage and shortages when signing. If the customer detects any damage or shortage in the shipment, the damage or shortage must be recorded on the bill of lading or the delivery sheet and the carrier’s driver must sign and acknowledge this record. The customer must retain a copy of the signed bill of lading or delivery sheet and call K&M Manufacturing at 800.328.1752 immediately to start the claim process. Please DO NOT refuse shipment. This will only delay your receipt of credit or replacement of damaged good.